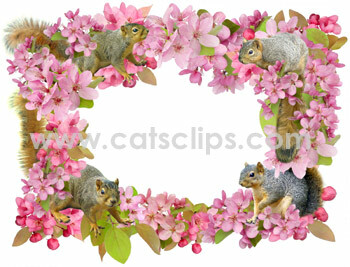 Squirrels hide in the pink crabapple blossoms. Use to frame a photograph or make a unique bookplate. PNG with a transparent center on a white background.